Sustainable luxury denim brand and two-time CAFA winner, Triarchy, announced today a series of pop-ups in partnership with Holt Renfrew’s H Project: May 25-27, 2018 at the Holt Renfrew Bloor St. location in Toronto, and June 21-24, 2018 at Holt Renfrew in Calgary, Alberta. 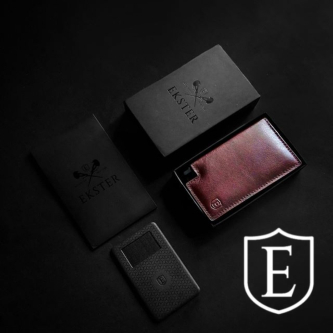 H Project supports culture, craft and artisans with an assortment of apparel, accessories, home décor, and beauty brands known for their social and environmental consciousness. Produced at leading environmentally conscious manufacturers in the world, Triarchy Denim is continuing to disrupt the market by producing their denim jeans, jackets and dresses using a staggering 85% of recycled water. Relying on nature, Triarchy’s production in Mexico City uses natural bacteria, which consume the indigo before re-introducing it to the wash process. 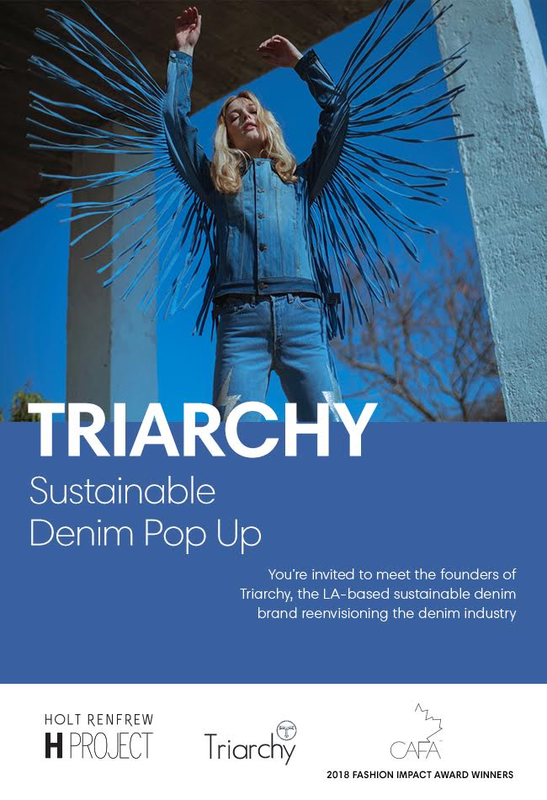 Made from only sustainably sourced & washed materials, vintage denim and custom woven fabric from top European mills, Triarchy is taking a stand to create innovative and environmentally conscious standards in the denim industry. Triarchy has saved over a million gallons of water in the production of their denim. The Triarchy Denim collection will be available in-store with the designers, Adam & Ania Taubenfligel, in attendance throughout the duration of the H-Project pop-ups allowing the public access to this exclusive brand, the ability to purchase pieces from the collection and an opportunity to speak directly with the designers. Built to last, the Triarchy Denim collection is the best in quality denim while remaining fashionably rugged, stylish and most importantly, eco-friendly.